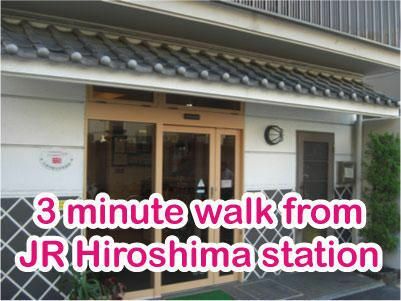 About 3-4 minute walk from Hiroshima station. Getting out of the South Exit at Hiroshima Station, turn left and pass through Taxi stand on your right side. Go straight seeing Book store on your left side and you will see the railway crossing in a minutes. Still keep going a bit seeing the railway crossing on your left side (Don't get across the railway crossing. 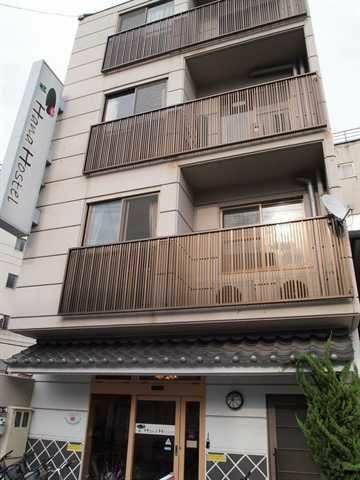 ), turn right at the next narrow street.You will see the sign 'Hana Hostel' on your left side. We are located right in front of Temple.